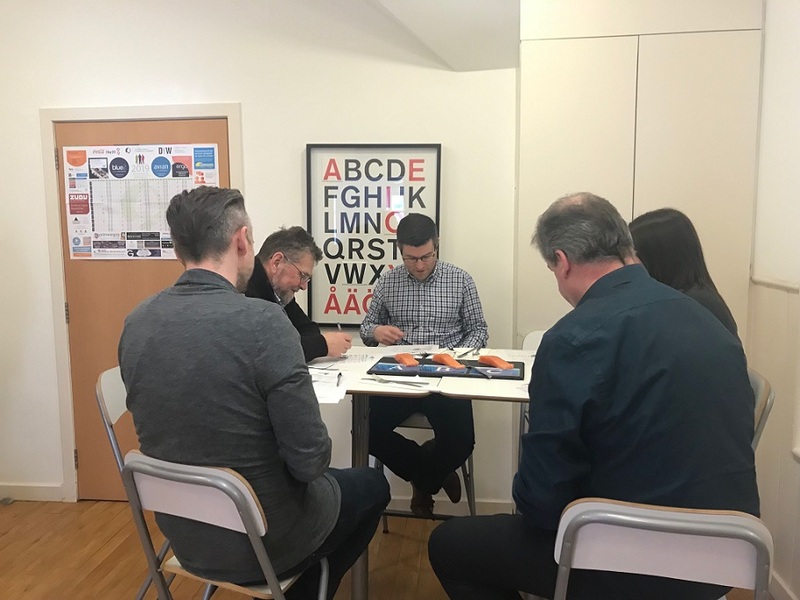 Avian and Blue2 had the opportunity today to take part in a private blind taste test with our client – Loch Duart Salmon, renowned for producing the most extraordinary, highest quality of Scottish salmon. Patrick Evans. 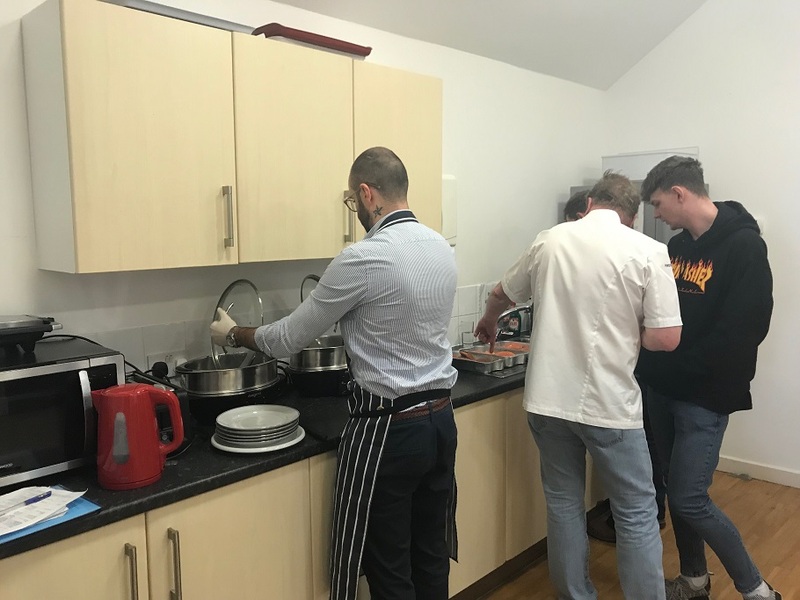 Loch Duart’s chef and brand ambassador was at the agency to ‘spread the gospel’ of the taste differential between Loch Duart and other, commercially available, fresh Scottish salmon. 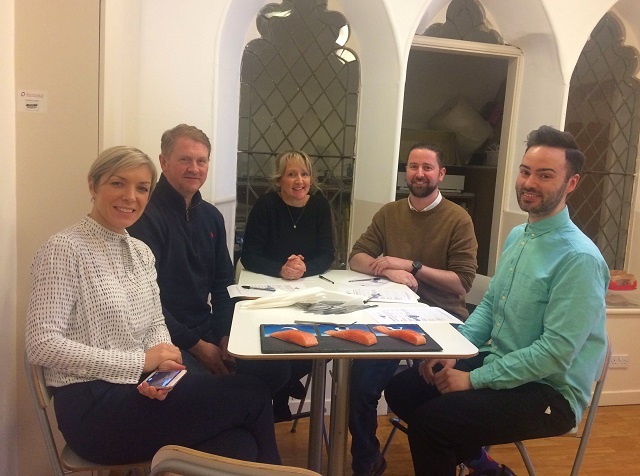 First off – Three fresh fillets of salmon (one being Loch Duart) purchased from a local fish supplier were presented and inspected by the team for appearance, firmness, smell and appeal. The fillets were then steamed for the same time and displayed for a taste test without any indication of which salmon came from where. 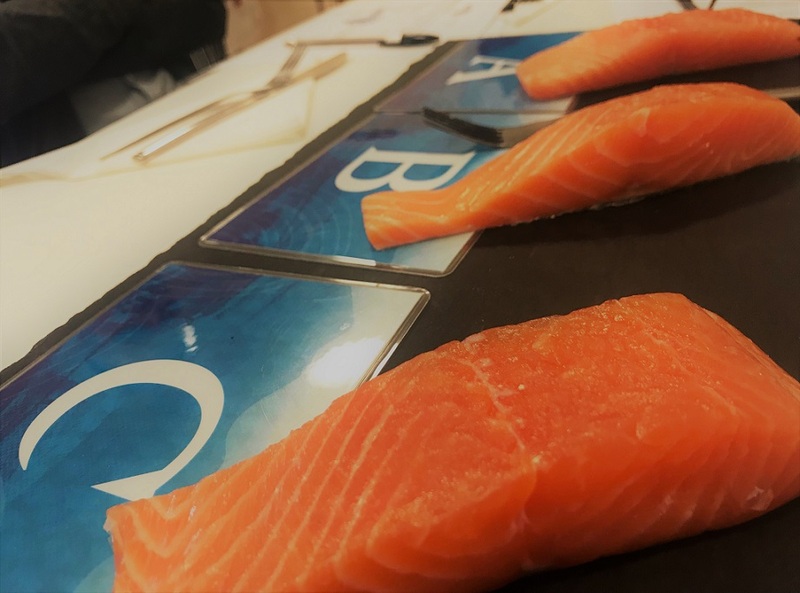 Upon tasting each sample, the team had to complete a detailed questionnaire rating the salmon on a scale from 1-9 against a number of set criteria. The taste test was great fun and highly educational. The team learned throughout the day how the careful husbandry and innovative techniques adopted by Loch Duart results in a salmon that looks, feels, smells and tastes like no other. Loch Duart salmon is known internationally for its firm flesh, flaky texture and extraordinary taste and is specified by the leading hotels and restaurants throughout the world.